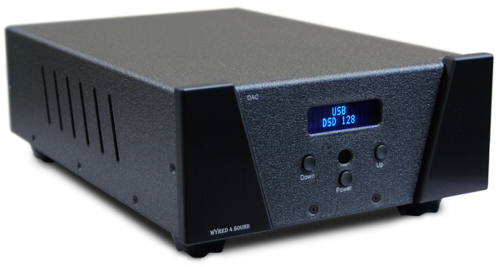 DAC-1 LE "checks all the boxes"
Wow.... judging that the [DAC-1 LE]] is not broken in completely yet, and knowing that the pre-amp continued improving substantially until well over 100 hours, I would say it will continue to improve.... However, at this point I would say it is in a whole other world. So natural sounding.... for example I just listen to the Lila CD that I bought at her dinner concert last night. It sounded pretty much exactly as her and her band sound last night live! The W4S checks all the boxes for me.... tight but not booming bass, very very open mid-range, great sound stage, GREAT SOUND STAGE, crisp highs, very accurate... As analogue sounding as I have ever heard digital sound... the separation between PCM and DSD is even greater... Yea, I like the unit and I like the quality of build, a lot!